CEO and owner of Hepburn Bio Care, Hepburn Bio Yacht Care, Hepburn Bio Body Care and other environmental companies. Margaret V. Hepburn has been a lifetime entrepreneur with passion and commitment to working in harmony with nature and protecting the environment by ensuring fewer chemicals are used. Margaret graduated from Auckland University in New Zealand. Soon after, she started her first business at the age of 23, in London. This business gave Margaret great insight and the confidence to create products which help protect the environment. 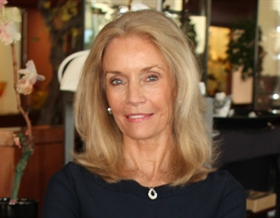 In 2001, Margaret had her first vision to help support the environment, starting Hepburn Bio Care in 2006, in an effort to help the marine industry find alternative sustainable cost-efficient ways to reduce the vast amount of hazardous chemicals and untreated wastewater that was being discharged into our oceans; the company has since moved forward in leaps and bounds. Margaret’s parents' influence still exists today, as she credits them with making her conscious of the importance of working in harmony with the environment. While growing up, all food was homegrown, organic, or supplied by local farmers; no pharmaceutical drugs were allowed. Considering Annex IV of Marpol 73/78* was not law until 2003, it is safe to say Margaret was well ahead of her time and a true pioneer in bringing awareness of how easy it is to improve the health of the Earth’s oceans. Today, Hepburn Bio Care is a multimillion dollar company with a global supply of a complete range of biodegradable, phosphate-free, non-flammable, non-toxic and eco-friendly products. All of which offer environmentally responsible clients a more effective, safer, ecologically sustainable alternative to traditional chemicals which will not corrode or damage the client's assets. Hepburn clients include a range of industries such as cruise vessels, oil rigs and hospitality companies. Princess Cruises, Royal Caribbean Cruises, Norwegian Cruise Lines, Costa Cruises, Pullmantur Cruises, Disney Cruises, Tui, AIDA, Maersk, offshore drilling contractor Transocean, Compass, Monaco Property Management companies and many more have saved money, become environmentally responsible and repeatedly proven that by changing to Hepburn products, going green didn’t have to cost them the Earth. Margaret’s passion and commitment have helped the industry reduce foul smells, wastewater solids, chemical discharge, risk, damage to their investment and our environment, showing that eliminating hazardous chemicals does actually reduce storage and freight costs and help you protect your business, your personnel and our world.